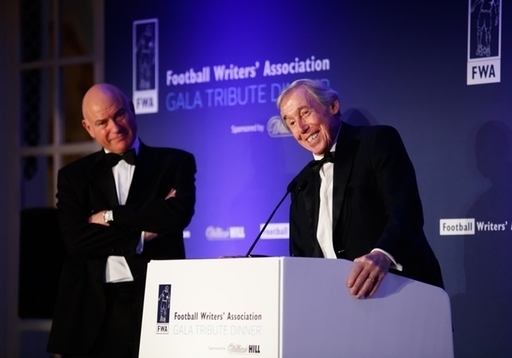 We at the FWA join the rest of the football world in mouring the death of Gordon Banks, our former Footballer of the Year, who has passed away at the age of 81. Banksy, or the Banks of England as he was nicknamed, will always have a special place in football history as England's goalkeeper when Sir Alf Ramsey's side won the World Cup in 1966, but arguably his most famous save came four years later, at the 1970 World Cup finals. England were playing Brazil in Guadalajara in a group game between the reigning champions and champions-elect, and when Jairzinho crossed from the right and Pele headed the ball towards the far post, the watching world – and the great striker himself – thought it was a goal. Banks flung himself from one side of goal to the other, dived low and clawed the ball up and over the bar from a seemingly impossible position. It was a stunning save, and although Brazil went on to win the game and win the trophy, Banks' save is one of the most famous images of that tournament, and has been replayed ever since. Gordon Banks was born in Sheffield and started his career down the road at Chesterfield, but it was at Leicester City that he first found fame. A year after winning the World Cup, he was surprisingly sold to Stoke City, and played with them until the end of his top-flight career, which ended prematurely when he lost an eye in a car crash in 1972. He played on with Fort Lauderdale Strikers in the US in the late 1970s, had a brief spell as manager of non-league Telford before leaving football in 1980. He was honoured repeatedly, not least when the FWA voted him Footballer of the Year in 1972. Fifa voted him Goalkeeper of the year five times running from 1966 to 1971, and he was awarded the OBE in 1970. Having won a battle with cancer in 2015, he continued to watch his beloved Stoke City and attend football events until the end. Our thoughts and prayers are with his wife Ursula, family and friends.